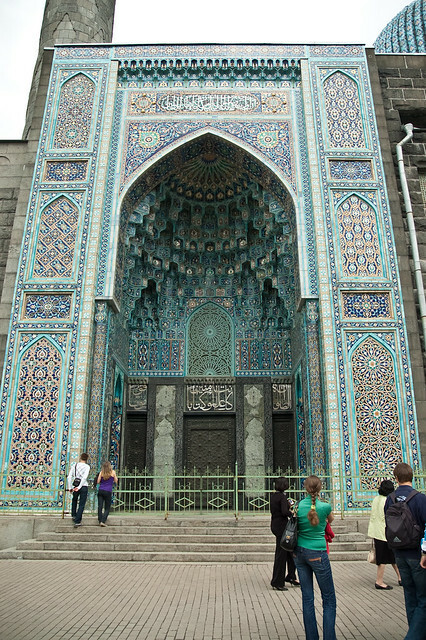 The St. Petersburg Mosque modelled after the Gur-e Amir, the tomb of Tamerlane in Samarkand, is the largest and the most beautiful mosque in Russia. 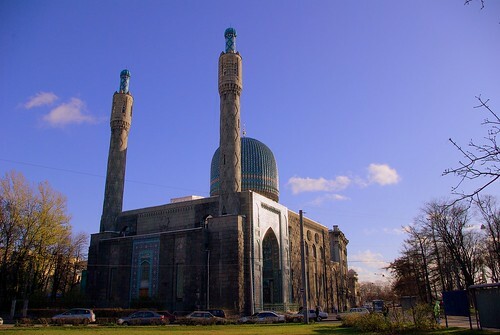 When built in 1913, it was also the largest mosque in Europe. 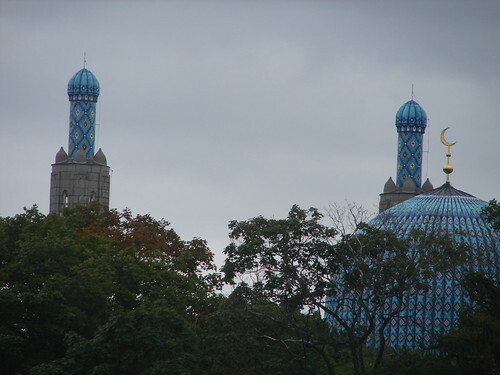 The mosque with 45 meters length and 32 metres width can accommodate 5,000 worshippers at a time. 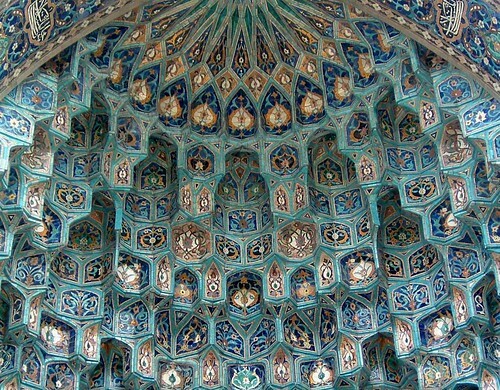 Its 39 metres high ornate dome and 49 metres tall twin minarets are decorated with azure blue mosaic ceramics thereby giving it the nick name of Blue Mosque. 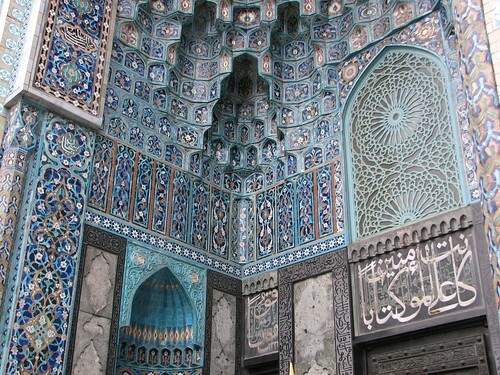 The interior of the mosque has beautiful green columns and decorative arches under the dome and same is also consistent with the traditional architecture of central Asia. 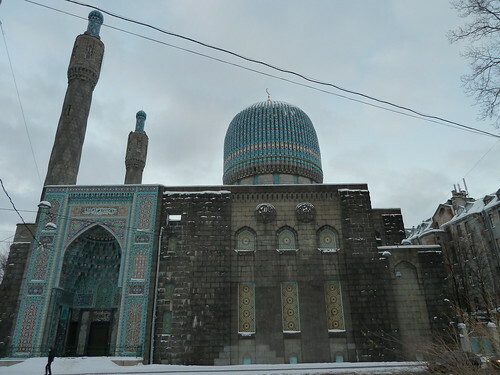 During the communist regime the mosque like other cathedrals and worshipping places in Soviet Russia was closed and was used as a warehouse. 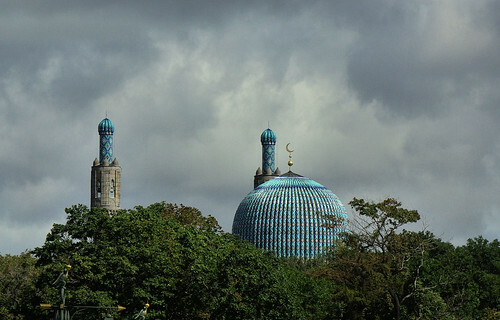 It was reopened in 1956 reportedly after 1955 visit of President Sukarno of Indonesia to St. Petersburg.